By rotating the magnetic field at a certain frequency the robotic chains will split into separate, individually controllable robots. Drexel University researchers, led by MinJun Kim, PhD, a professor in the College of Engineering, have successfully pulled off a feat that both sci-fi fans and Michael Phelps could appreciate. 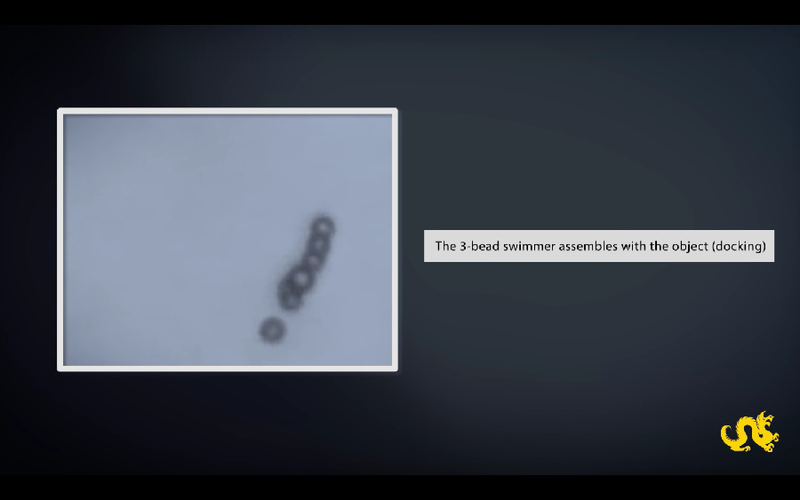 Using a rotating magnetic field they show how multiple chains of microscopic magnetic bead-based robots can link up to reach impressive speeds swimming through in a microfluidic environment. Their finding is the latest step toward using the so-called “microswimmers” to deliver medicine and perform surgery inside the body. In a paper recently published in Nature Scientific Reports, the mechanical engineers describe their process for magnetically linking and unlinking the beads while they’re swimming, and individually controlling the smaller decoupled robots in a magnetic field. 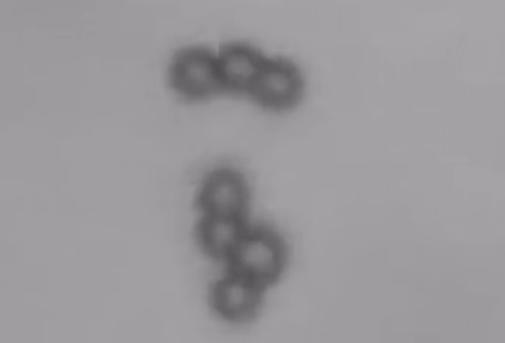 This data helps further the concept of using microrobots for targeted, intravenous drug delivery, surgery and cancer treatment. One of the central findings is that longer chains can swim faster than shorter ones. This was determined by starting with a three-bead swimmer and progressively assembling longer ones. The longest chain examined by the group, 13-beads in length, reached a speed of 17.85 microns/second. 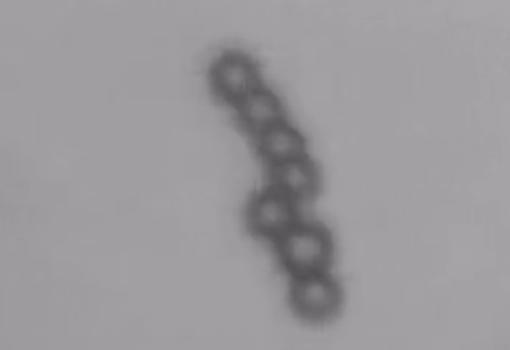 Drexel engineers have been adding the understanding of microrobots for biomedical applications for nearly a decade, with the goal of producing a robotic chain that can travel inside the body, then decouple to deliver their medicinal payload or targeted treatment. The reason for this approach is that a rather versatile robot that can do multiple tasks could be controlled using a single magnetic field. The robot chains move by spinning, like a long screw-like propeller in step with a rotating external magnetic field. So the faster the field rotates, the more the robots spin and the faster they move. This dynamic propulsion system is also the key to getting them to divide into shorter segments. At a certain rate of rotation the robotic chain will split into two smaller chains that can move independently of each other. Once separate, the field can be adjusted to manipulate the three and four-bead robots to move in different directions. Because the beads are magnetized, they can eventually be reconnected — simply by tweaking the field to bring them back into contact on the side with the corresponding magnetic charge. The team also determined optimal rotation rates and angle of approach to facilitate re-linking the microswimmer chains. This finding is a key component of a larger project in which Drexel is partnering with 10 institutions of research and medicine from around the world to develop this technology for performing minimally invasive surgery on blocked arteries.